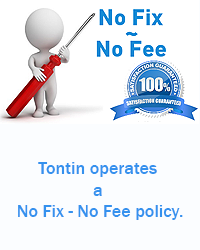 Tontin Web Design caters for individuals or businesses that need websites, online shops, graphics. Our aim is to make it as simple as possible for you to get online and get noticed, whether it is a blog, portfolio or shop. We can meet up to discuss your needs if you are local to Bexleyheath, Dartford or Welling or we can chat via email, phone or Skype. Once we have your requirements we create a few designs for you to choose from, if needed, then work on the content. We offer e-commerce websites from �9, with just a �0 deposit the rest is payable when the website is complete and you are happy! Most website designs are completed within a couple of weeks to a month, depending on how quick we are given content. E-commerce websites can take up to a month or more to design and products added and may need a larger deposit than a standard website package. Once the website is finished we can host it or upload it via FTP to your server. We do offer our own 3in1 hosting package which includes hosting, updates and backups. Below are some examples of our work, feel free to browse. Playtimeuk1 was very much a bespoke website that had to meet the requirements of the client, he streams game videos via twitchtv and records these streams for later access from his site and for youtube. The site had to be visually pleasant and represent a degree of sophistication that gamers would appreciate when navigating his game video streams. 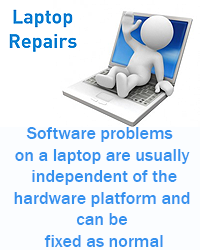 The site had to be easy to maintain as new releases and popular games often have patches and upgrades that people will want to watch game video streams of. Due to the sheer size of some of the content , some of the recorded game video streams can be quite large it was suggest that a run of the mill database driven website may well struggle, so a php website was designed to fit the clients criteria. All graphics were created using Photoshop CS6. This website is a good indicator of how Tontin can design a website that does not involve e-commerce. Express Translations do not make you go through hoops to get a quote for your Dutch to English or English to Dutch translation as all of Express Translations prices are laid out clearly and simply on Express Translations translation rates page. Express Translations have no hidden charges and Express Translations are confident that their prices and express service are second to none. At Express Translation they use qualified Dutch native speaking translators who have had years of experience in translating in various fields as well as speaking Dutch all of their Lives. Express Translations do not farm out our work, instead all of our Dutch to English translators are employed on a full time basis, So we can stand by our quality and professionalism. Production runs and one offs which have included work the big G sign for Gucci store fronts in Europe. We have also changed standard car bonnets into light weight vented glassfibre ones for track day and race cars. With all their years in the fibreglass industry they pride themselves in the various skill sets within the fibreglass trade that they have used, their project galleries testify to the variety and quality of the fibreglass work and to the varied methods used. They believe in a fair price, this means they will not inflate the prices and many small customers are surprised when they only quote a small amount for a small job as an example some small repairs to a boat can start from as little as �0, so do not be afraid to ask for a quote on your fibreglass repair you could be pleasantly surprised. 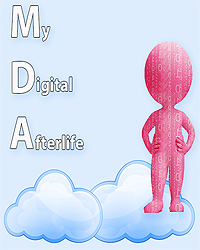 My Digital afterlife needed a website that was obviously mobile friendly as it as app that is aimed at that market entirely, therefore it was developed using bootstrap. An easy to read site with links to the google play store. The sites graphics were created using Photoshop CS6. This site shows off many of Tontin's talents including creating mobile sites. All MDA development and website design was done as a joint effort between Tontin and Terxiie.